Fashion is a part of our everyday lives, whether we recognize it or not. It is an ever-growing industry with new fashion career opportunities, and a lot of schools and students are taking notice. New York, the fashion center of America, is thriving and expanding the fashion industry to other parts of the country. Celebrities and media messages are conveying fashion to everyone on a daily basis. Fashion is clearly a subject of study that can influence a generation. The market for fashion has grown from an exclusive elite to an international body of consumers, and the market is booming. If you’ve considered studying fashion as a future career, you may be looking in the right place. According to Harvard magazine, the early twentieth century garment and fashion industries were focused in the local metropolitan culture of New York City—really, a certain stretch of Manhattan. In 1913, for example, undergarment shops in New York City accounted for about two-thirds of the $70 to $80 million value of all undergarment production in the United States. New York City remained the center of American undergarment production throughout the 1950s, and is still the fashion center of the US today.In 1939, beauty and fashion magazines entered America’s homes. Glamour magazine printed their first issue, defining glamour as "a quality each of us sees in some other human—and wishes she possessed." The editors assure their readers that all women possess "potential glamour," which can be achieved with the help of the right accessories, hairstyle, cosmetics, behavior and, of course, clothing.The latest patterns and styles from Europe were shown in the magazine, creating a niche for the American market by mainstreaming cosmetics and accessories that offered allure, sophistication, and youthfulness to women everywhere. 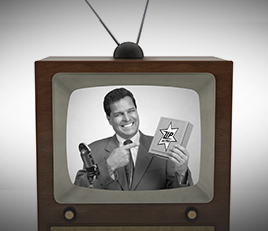 In the 1950s and 60s, the invention of television beamed commercials and fads across the country. Subcultures embraced fashion as a symbol of identity and class. Throughout the second half of the twentieth century, American apparel and textile manufacturers continued to expand their industries overseas to cut costs and compete effectively with foreign businesses. Meanwhile, upscale couturiers developed into corporate brand names. Their logos became status symbols, frequently pirated on the black market and coveted by increasingly younger customers especially as celebrities and musicians began wearing those labels in music videos and magazine photo spreads. A specific example of the connection between culture and fashion occurred in 1993 when designer Marc Jacobs debuted his "couture grunge" on notoriously thin-framed models that emulated the loose flannel shirts, shabby sweaters, wrinkled and torn pants worn by the increasingly popular grunge rock of the era. More recently, music stars have made a name for themselves as fashion moguls; rapper Shawn "Jay-Z" Carter launched the Rocawear clothing company in 1995, surpassing $700 million in annual retail sales. In 1999, the rapper/producer Sean John "P Diddy" Combs launched the Sean John clothing line for men. Kanye West is a recent fashion success. Check out Kanye’s 2012 fashion show here. Although fashion has changed over the years, the cultural relevance of fashion and its industries are even more important today than they were in the past. With the growing ease of travel and communication and the wider dissemination of newspapers and magazines, fashion trends spread much more broadly and rapidly. Now the Internet and social media has exponentially sped up and broadened the diffusion of fashion trends. Fashion schools are offering many degrees for students to pursue an exciting degree in fashion. New York continues to be a focal point for the fashion industry and study in the US. For example, Parsons, The New School for Design, offers degrees in fashion design, merchandising, as well as others. Parson’s has celebrity fashion alumni that have been influencing our culture for decades, including Donna Karan, Tom Ford, and Marc Jacobs. Clothing continues to occupy a central role in our national economy, our popular culture, even our ideologies of politics and sexuality. The history of fashion in the US is intertwined with almost every major development in American life. From the materials used to manufacture textiles, to the process by which our garments are made to the social values that dictate what we "should" look like, fashion is an ever-growing industry. The study of fashion has grown into a serious pursuit for many students looking for a creative, substantial career. Whether you are a slave to fashion trends or proud to disregard them, studying and working in the fashion industry is about much more than high-priced brand names and marketed vogue; This industry is the story of popular culture. We wear the story every day. 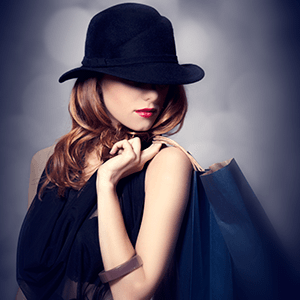 Learn more about studying fashion in the USA by reading our growing article collection. « Study Guide by Subject	« Study Fashion in the U.S.
Over time we will be updating this section and including more information for those who want to study fashion in the USA and for other countries, but please feel free to post your thoughts and comments on our Facebook fan page, and also follow us and post questions through Twitter. 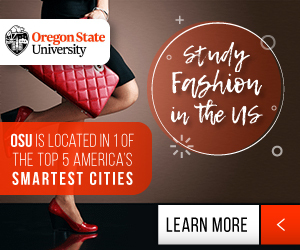 Visit the Study in the USA School search to find schools that offer programs of study in Fashion.